I Used Citikitty Cat Toilet Training Kit. How to Make it Work? My Review. Citikitty Cat Toilet Training Kit Review: How to Make it Work? Everybody has seen the show Shark Tank right? It is one of television’s famous shows. 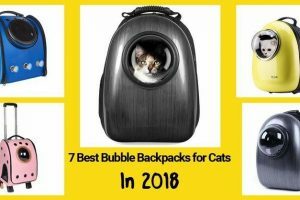 How the CitiKitty Cat Toilet Training Kit related to this? In the said show, a startup or someone who has an idea for a business will get to present his idea for a product or service to a panel of “sharks”. These sharks are millionaires or even billionaires, or basically people who have found huge success in their business niche or endeavors. The idea of the show is to entice the “sharks” or just one or any of them to buy into the idea and invest their money on. If a “shark” or a huge and successful businessman invest in your product, idea or service, then that means it is something that is new, creative, useful, sellable and has the huge potential to blow up to be a big success. Once upon a time, a lady by the name of Rebecca Rescate, came on the show Shark Tank and presented a revolutionary cat product that would blow the minds of the “sharks” on that show and would lead to one of the biggest products to ever come to the Shark Tank Show and the market today. That product is the CitiKitty Cat Toilet Training Kit. 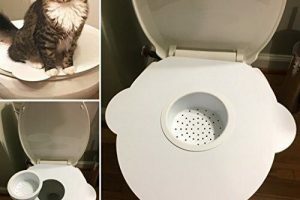 It became so big that on the night the CitiKitty Toilet Training Kit episode of Shark Tank aired, the product became the hottest selling item on Amazon under its Home and Garden Department. This was historical because no other upstart company has ever done this, most Amazon products under the Home and Garden Department are already hugely popular and backed by big marketing stunts and gimmicks from equally big marketing firms. The CitiKitty Toilet Training Kit is one of those products that is always preceded by its reputation, a reputation that is earned in both reliability and usage. This is a testament to how convincing, believable and effective the CitiKitty Toilet Training Kit is, and we have not even started to talk about its uses and features. The CitiKitty Toilet Training Kit is basically a training seat for cats that fit in your everyday human toilet. It is built and designed to work well with all types and sizes, and shapes of toilets from the typical round to the oblong shaped ones. The CitiKitty Toilet Training Kit is made from sturdy plastic, which is enough to accommodate the weight of even the heaviest of cats. 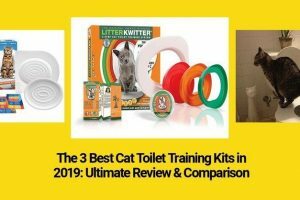 The CitiKitty Toilet Training Kit is also designed for households or pet parents who have multiple cats at home, or even kittens no more than 3-months old. I have read stories of cat-owning families who have started training kittens as early as eight weeks. It comes with a training seat and inserts (which is important, and we will discuss further later), a guide, a tip card, and some catnip. At first touch you might notice that the CitiKitty Toilet Training Kit is a bit flimsy and quite light, there is a perfectly good explanation for that according to the designers. 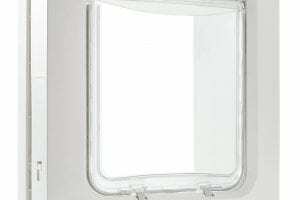 They designed it to be light enough to not be cumbersome because it is removable. The CitiKitty Toilet Training Kit comes in at a measurement of 15.5 inches in length and 15 inches in width and 1.2 inches high. The CitiKitty Toilet Training Kit is designed and built light enough to be easily removable and replaced back on the top of the toilet bowl, yet sturdy enough to support your medium to heavy cat, at the same time, the designers designed it to bend a bit in the middle to condition your cats using it to support themselves on the side or the sides of the toilet as they slowly transition from the CitiKitty Toilet Training Kit to the actual bowl. How does the citikitty toilet training kit work? The CitiKitty Toilet Training Kit is by an all working definition a system designed to train our cats. It is a behavioral adjustment tool that will work to overcome our cats natural and survival instincts. Cats by nature are sly hunters and they are also very adept at escaping and evading their enemies, that is why it is plain instincts for them to try and cover their poop and pee with soil or in the modern housebound cat’s case, kitty litter. 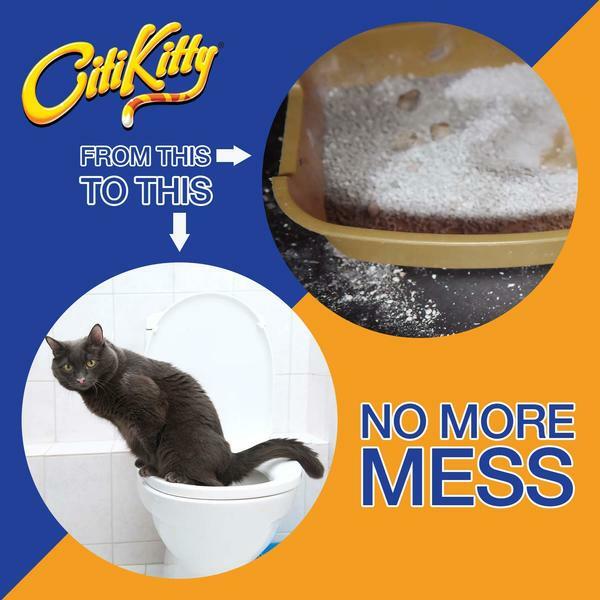 The CitiKitty Toilet Training Kit takes advantage of what is known as “disappearing litter box technique” to try and modify the behavior of cats into thinking that they are peeing and pooping in their regular litter box until they graduate and get used to the idea of doing it in the toilet. How do you use the Citykitty toilet training kit? 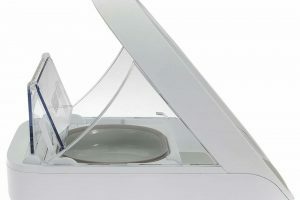 The disappearing litter box technique employed by the CitiKitty Toilet Training Kit is simple and is ingrained in the system itself. We will discuss how it works and we will follow an easy step by step method to try and get your little furry feline family to transition to the toilet in as little as three to four weeks. Basically what we do is try to convince our cats that the CitiKitty Toilet Training Kit is their new litter box, slowly as they use it, we will cut out a hole in the middle of the training kit until it becomes bigger and bigger, up until we have the CitiKitty Toilet Training Kit hole as big as the toilet bowl itself. By this time, we now know that our cats are comfortable with the toilet and we can remove the CitiKitty Toilet Training Kit altogether and observe the cats. If you are using a litter box, place the CitiKitty Toilet Training Kit besides their old litter box. Have the cats use their old litter box until they warm and start using the CitiKitty Toilet Training Kit. Mix a little catnip with the litter that you put in on the CitiKitty Toilet Training Kit. If the cats do not transition to the CitiKitty Toilet Training Kit, stop cleaning their old litter box and just bear with the smell, it would not be more than a couple of days until they will transition to the CitiKitty Toilet Training Kit. Once they start using the CitiKitty Toilet Training Kit, removed the old litter box and make them comfortable in using the CitiKitty Toilet Training Kit. Use it like any other litter box in the first couple of days. Slowly move it to the top of the toilet bowl and have them use it for a week. Once they get used to the idea of using the CitiKitty Toilet Training Kit that is placed on top of the toilet bowl, move to the next step. Cut a hole in the middle of the CitiKitty Toilet Training Kit. There are easily identifiable ridges for you to know where to cut. Place back the CitiKitty Toilet Training Kit on the toilet and have the cat use it for a week. If the cat stops using the system after you have cut the hole in the middle, go back and use the insert and start again. 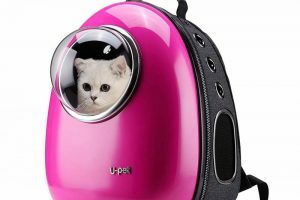 You should consider this if your cat stops, is irritated and/or keeps missing the hole. Support him by giving him treats if he successfully poops or pees on the center hole. Remember that the CitiKitty Toilet Training Kit is a “training kit” and the temperament and psychological considerations on your cat’s behavior should be taken into account when training him to use the toilet. 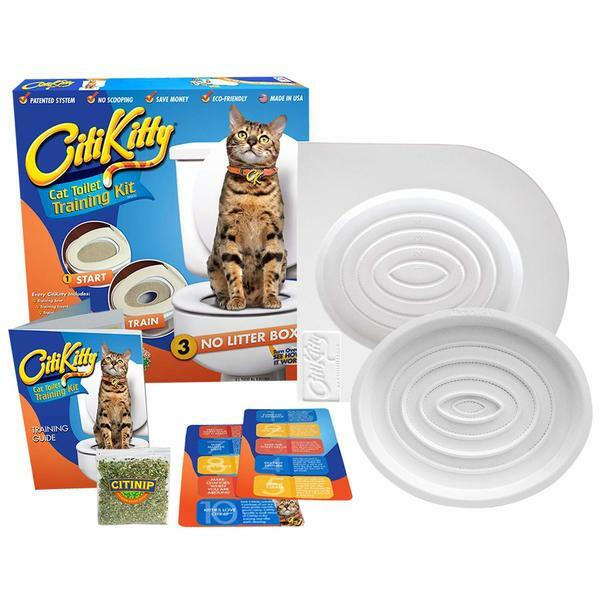 Do steps 6 and 7, until you reach the maximum ridges that you can cut and the whole middle part of the CitiKitty Toilet Training Kit and there is nothing left but the mounts to the toilet bowl. 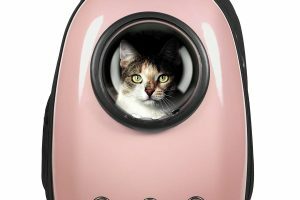 By this time, it can be safely assumed that your cat would now be able to use the toilet sans the CitiKitty Toilet Training Kit. Make no mistake the CitiKitty Toilet Training Kit is a training system like we mentioned above, it is used for behavior adjustment so please be patient with your cats when training them to use the system and always take into consideration their temperament and psychology when transitioning them from their regular litter box to the CitiKitty Toilet Training Kit. So with that in mind, I cannot stress this enough for people who are reading this review in the hopes of buying or considering purchasing the CitiKitty Toilet Training Kit, do not buy it with just the end in mind, and without being serious about training, guiding and supporting your cats in the process. Your cat’s success in being able to transition to using the toilet is largely if not more than half dependent on the effort, patience and understanding that you will show them as well as the willingness to monitor, guide and encourage them to do it, I can personally assure you that the benefits of it are nothing short of amazing. Can you imagine living in a house full of cats but you do not have to deal messy and icky errant litter under your foot our in places that you did not even imagine they can get into? And all the while trying to guess if that litter is full of cat poop or pee? For the younger ones in the cat raising game, imagine having your fur babies with you but you do not have to deal with all the litter box cleaning? That would be heaven right? That is just one-or two-of the benefits of having toilet trained cats in the house. You can even push toilet trained cats to the next level by teaching them how to paw at the flush especially if you have the knobbed and lever ones at home. 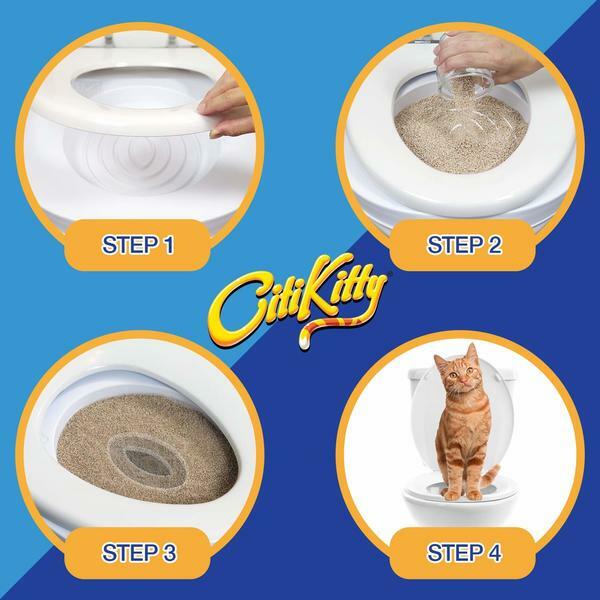 If your cat can successfully use the CitiKitty Toilet Training Kit and transition to the toilet, then these would mean the end of your messy litter and dirty litter box problems. The final verdict on the Citikitty cat toilet training kit… of course a YES! In fact, I reassure everyone to that if you toilet train your cats, you will benefit from the reduced cost in litter and maintenance, absence of messy litter, a better smelling house, and a disciplined cat which will pee in and poop on their own toilet.